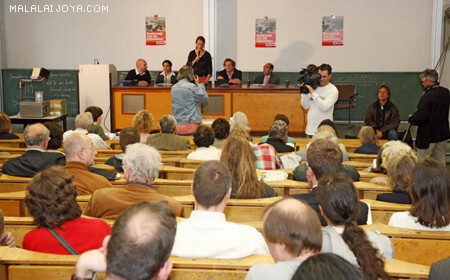 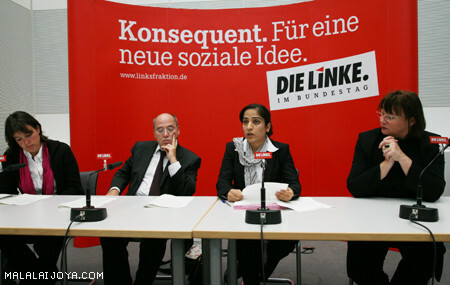 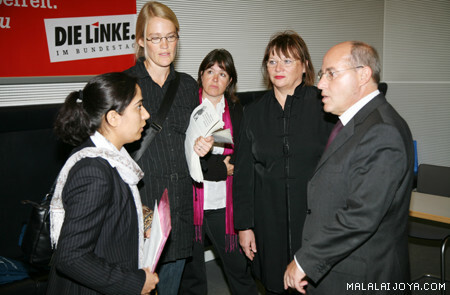 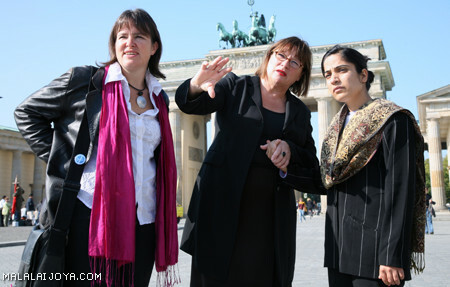 Invited by the LEFT parliamentary group in the German parliament, Malalai Joya was in Berlin from September 17 to 21, 2007. 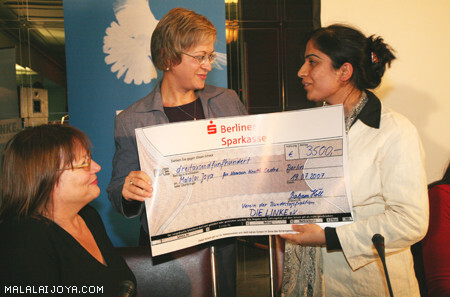 In her speeches and press conferences, she tried to raise awareness on the plight of Afghan people and present a picture about the role of the German troops in Afghanistan. 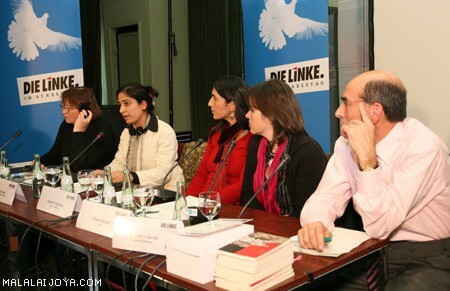 Interview with Malalai Joya:"The 'war on terror' is a mockery!"